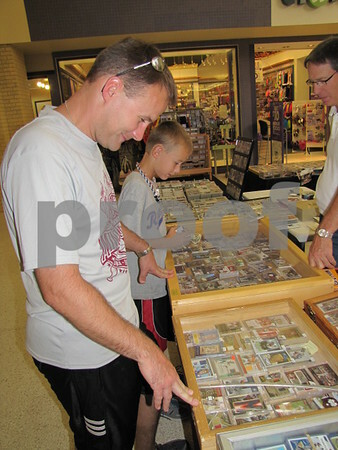 Travis Wirtz and his son Devon look over the vast collection of sports cards at the Crossroads Mall in Fort Dodge. 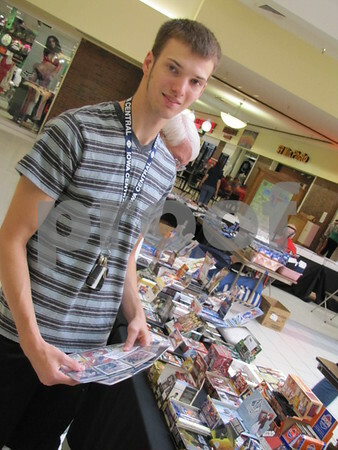 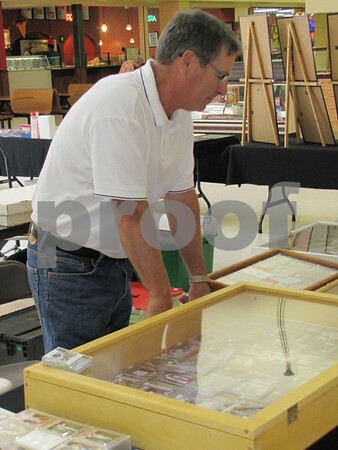 Cord McMahon looks over some sports memorabilia at the Sports Card Show at the Crossroads Mall in Fort Dodge. 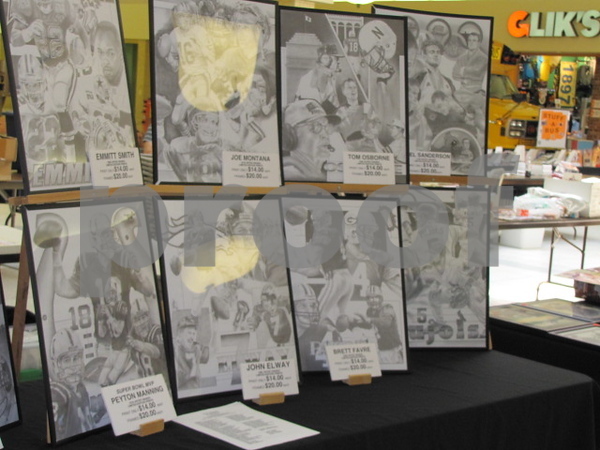 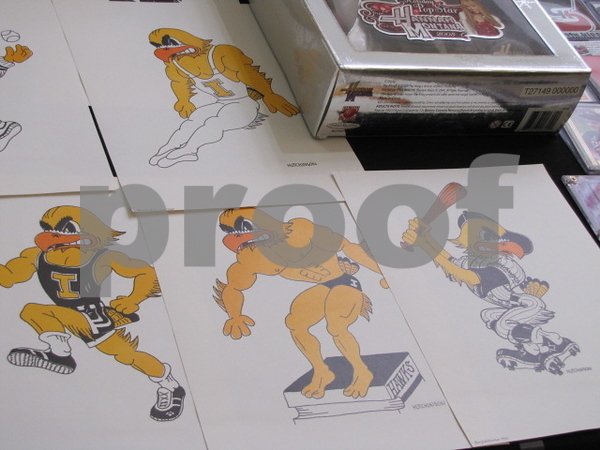 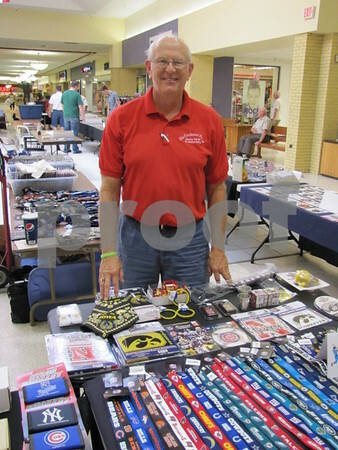 David Jensen of Farnhamville had his sports collectibles on display and sale at the Crossroads Mall in Fort Dodge. 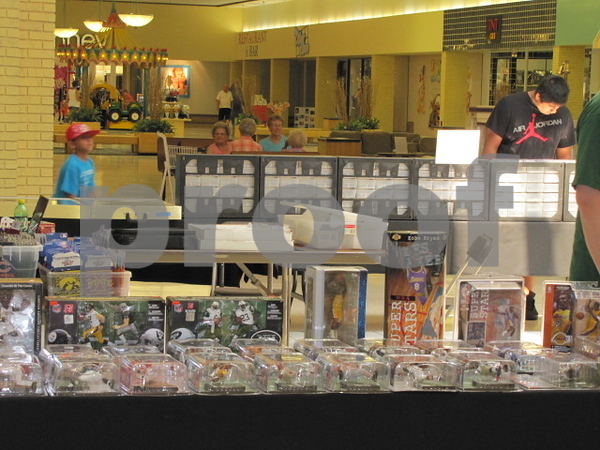 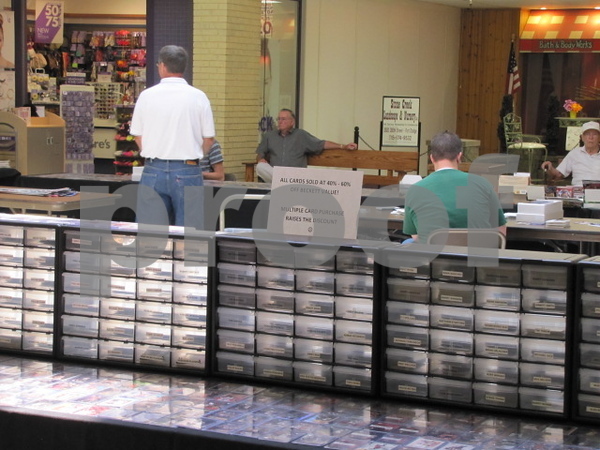 Scott and Janet Hilbert relax between customers at the Sports Card Show at the Crossroads Mall in Fort Dodge. 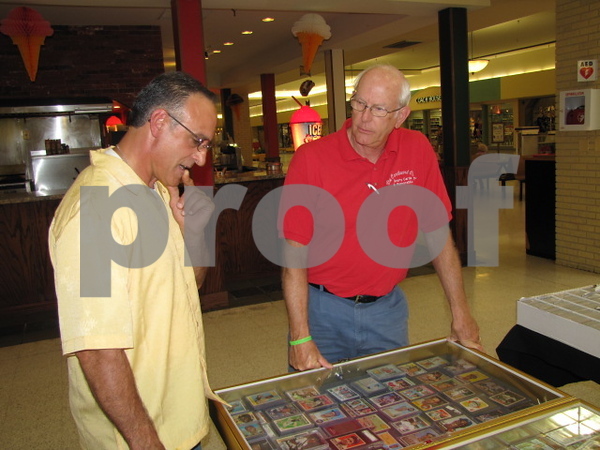 Joe Orosco talked with David Jensen about Jensen's sports cards at the Crossroads Mall in Fort Dodge. 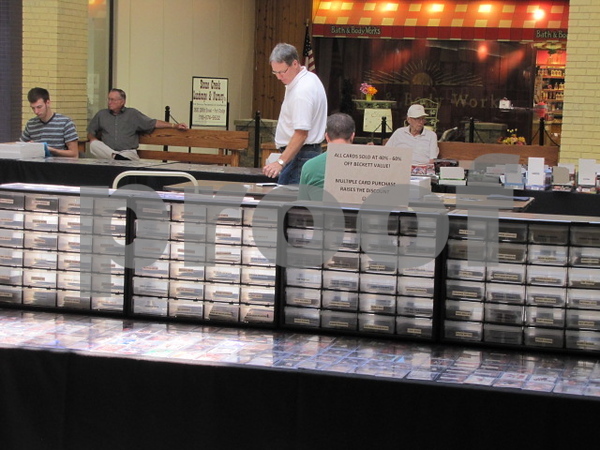 Matt and Mary Ann McCrady look over the sports collectibles at the Crossroads Mall in Fort Dodge.